The Restaurant & Hospitality lawyers of Davidoff Hutcher & Citron represent iconic names in the restaurant, nightclub, and hotel industries, as well as new arrivals to the industry, covering all aspects of their businesses. Our representation includes real estate transactions, commercial leasing, financing matters, trademark matters, management and joint venture agreements, construction contracts, celebrity endorsements, government licenses and permits (including liquor licenses), corporate and LLC formation, and structuring business purchases and sales, employment law and litigation. Unlike small boutique law firms that service only a few practice areas, Davidoff Hutcher & Citron is a true full service firm that can effectively handle almost every kind of legal matter faced by a restaurant, nightclub, or hotel. Our hospitality lawyers practice as restaurant lawyers, hotel lawyers, and nightclub lawyers. In new construction or renovation projects, we help our clients with all aspects of development, including real property acquisition, land use and zoning issues, financing, construction contracts, and other third-party agreements. OurRestaurant & Hospitality lawyers assist in the registration of service marks and trademarks, as well as in other intellectual property matters. DHC’s hospitality lawyers have made frequent presentations before hospitality industry audiences and trade associations, and have published in hospitality industry publications, on topics such as franchising and protection of trade secrets. DHC’s hospitality lawyers have extensive knowledge of the laws and regulations governing the hospitality industry. We guide our clients through the maze of laws and regulations that affect their businesses, including Workers’ Compensation and Disability laws, Wage and Hour laws, other state and federal employment laws and regulations, and Occupational Safety and Health Regulation (OSHA). We also represent our clients regarding labor union and collective bargaining negations. We also represent our clients in government relations matters, including obtaining liquor licenses, cabaret licenses, sidewalk café permits, food protection certificates, and fire safety permits. We also defend our clients against claims including, building code, health code, and noise code violations. 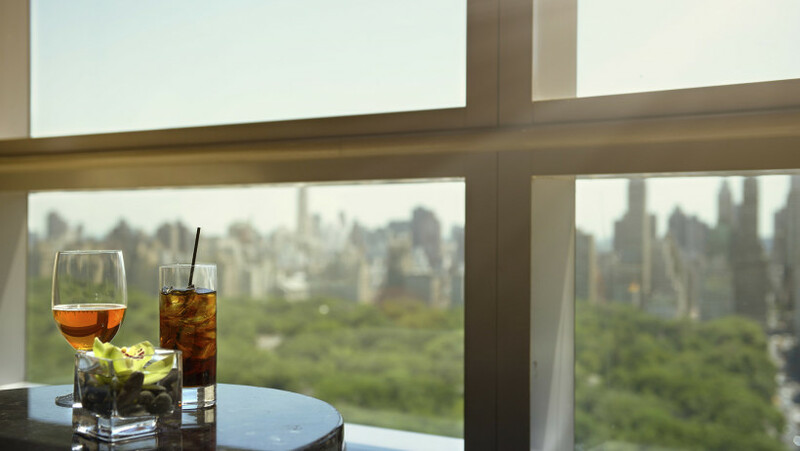 While we have represented some of New York’s most iconic restaurants, hotels and nightclubs in their business and litigation matters, our hospitality lawyers also assist in the development of new businesses. We advise hospitality industry clients of the most advantageous way to structure their business and perform the filing of documents forming a partnership, corporation or limited liability company. Our experience and guidance can be invaluable to the launching of a new hospitality industry business. Unfortunately, litigations sometimes arise in hospitality settings, including disputes that arise among owners. Our litigation lawyers have long-standing experience in effectively resolving such disputes both in court and in informal settings. Restaurants are often represented by boutique law firms that offer only a limited range of legal services. As a full-service law firm, Davidoff Hutcher & Citron offers an unparalleled, comprehensive range of services to its hospitality clients. When a hotel, restaurant, nightclub, resort, or other hospitality industry business chooses the hospitality lawyers of DHC, they access a team of lawyers experienced in the most comprehensive array of practice areas available in one place. Our Restaurant & Hospitality Law practice group collaborates with other DHC practice groups, such as administrative law, commercial litigation, construction law, corporate and securities law, employment law, government relations, intellectual property law, outdoor advertising or real estate law. Whenever expertise in a certain area is needed, we provide our clients with a broad base of legal representation unavailable at any other firm. We can handle virtually every kind of legal matter that a hotel, restaurant, nightclub, resort, or other hospitality industry business requires.